The Seventh European Congress of the Economy of Communion was held last weekend in Rotselaar, Belgium. There are 87 participants in this seventh edition of the Congress of the European EoC which closed yesterday morning in Belgium. They come from 14 European countries (Spain, Portugal, Italy, France, Belgium, Holland, Germany, Luxembourg, Denmark, the United Kingdom, Austria, Switzerland, Croatia and Serbia) plus some representatives from South America (Argentina) and Africa. On Friday morning, the programme was immediately made live with the sharing of some of the experiences of companies of the economy of communion in Belgium: their challenges, difficulties but also their successes. It was followed by the presentation of philosopher Henk Opdebeek from the University of Antwerp, who dealt with the relationship between justice, ethics and economics. He put special emphasis on the need for a transformation of the economy towards an economy capable of giving meaning to "material precariousness". In the afternoon, the EoC-IIN and its hubs were introduced and some workshops were held. On Saturday, 28 October, Anouk Grevin presented the results of a study being conducted on some EoC companies around the world, proposing a number of reflections about management: “How can we share the value created? "," How can we think about it?” To contribute, there were Maxime, a French student and German Jorge, an Argentinean entrepreneur in whose company -Dimaco- part of the research was carried out. 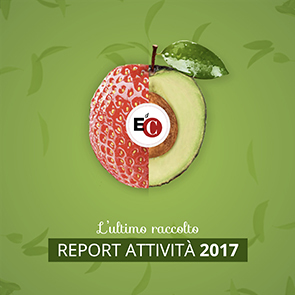 In the afternoon, the subject of poverty was introduced and Genèvieve Sanzé and Luca Crivelli, head of the EoC observatory of poverty OPLA, recently born in Loppiano, spoke. Both of them argued that the poor are a "gift" and people who must be loved. Looking at poverty, we discover the values of life. The day ended with some workshops. On the last day, the Università Sophia was presented. It was created with the mission to form "new men and women" on the charisma of "gift" and "giving". A former student has defined it as a university of life that has formed her not only intellectually but also humanly. Today there is a need for a university experience such as that proposed by Sophia to move on to a global and interdisciplinary vision in which everyone needs the other. Finally, Luigino Bruni spoke about the EoC's challenges today. Bruni's concern is how the EoC will look in 100 years' time. Every civilization has its founding myths and the EoC also has its own: Chiara who arrives in Brazil and sees the crown of thorns. There is an even more ancient founding myth that is the one from Trent in 1945 when the poor were invited to lunch by Chiara and her first companions in Piazza Capuccini: they were arranged in the "a focolarina, a poor person" order at the table set with the most beautiful dishes and tablecloths. Without 1945 we cannot understand 1991: the first aid given to a poor person is that of the meeting. The poor is also the neighbour who is near you now, and who passes you by at this moment. Therefore, we should return to and visit the existential peripheries of our cities in order to meet the poor who have a special competence of their own: this can only be understood by living with them. If the poor are not involved in the discourse on poverty, one cannot understand the "value" that they can bring. Moreover, the proposal launched by Chiara cannot be made concrete only by the Focolare Movement. It is necessary to attract fellows who share the values of the EoC. “Biodiversity” is needed because without it, communion cannot be achieved and the project cannot be fully realised. For this reason "vocations" to the EoC are not enough, but "sympathizers" are also needed who appreciate the project and contribute to its realization. The EoC's weaknesses to date have been: not being innovative enough with the most demanding entrepreneurs; not having developed a creative culture. The EoC narrative capital consists of two parts: one "charismatic" and another - more understandable and added by us - which is reciprocity and the culture of the gift. The second part is talked about a lot in the world because it’s more understood, but without the first part you can't fully understand the EoC. The challenge we have before us today is that of telling the first charismatic part with a new and different language to make it understood by many, especially young people. The congress concluded with some time dedicated to dialogue among all and with the appointment made for an eighth edition in 2019.